Should you download new codecs when a website tells you to? Your computer needs video codecs to play videos. And like everything else there are quite a few different codecs to choose from. 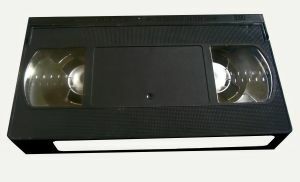 Your computer came with a set of the most popular codecs so you can watch videos, both online and from DVDs. There are some websites that encode their videos with unusual codecs then ask you to install a new codec to view it. In particular, some pornographic websites have been tricking people into downloading a new codec. Unfortunately in some cases the codec is a trojan that makes very dangerous changes to your computer (allowing attackers to redirect your web browser to wherever they want). There’s been a reportof some websites tricking Mac users into installing a bad codec like the one mentioned above. In the past Macs have been considered more safe than Windows computers but as they become more popular they also become targets to malware such as this. This particular attack doesn’t work very well because it asks the user to carry out a number of steps. Over time attackers get more sophisticated so it’s best to learn about it as early as possible. Don’t install anything a website tells you to, unless you completely trust the person or company operating it. Even then you need to be certain of what you’re downloading. No computer is safe from malicious attacks, no matter what the ads, salesmen or zealous enthusiasts say. Pornographic websites are well known to carry malicious content like viruses and trojans.